Not great, but not terrible. 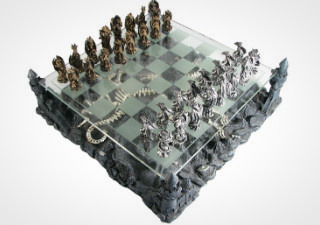 Overall, Chess Baron is an average online chess shop that offers unique product photography. Chess Baron is a UK based online chess shop that also maintains branches in other countries like the US, Canada, and France. They pride themselves on offering great products at unbelievably low prices, as well as making the online shopping experience as seamless as possible. But is it really all it’s cracked up to be? One thing they are good at is providing a lot of different pictures of each product from all sorts of angles to show off every detail and give you an accurate representation of the product. Often, online shops are lax about this aspect, which can lead to customers not getting what they thought they were going to get, which leads to dissatisfaction not only with that purchase, but with online shopping as a whole. Chess Baron aims to be the online shop for people who hate online shopping- it tries to make the process as painless as possible by making it easier to find what you’re looking for. 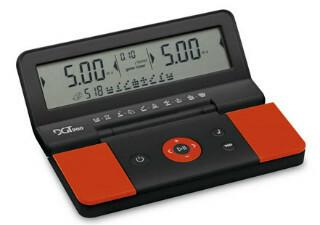 The pictures and product descriptions are detailed enough to give you an accurate idea of what you’re buying. This gives buyers sort of the same experience of shopping in a brick and mortar store, or at least the best you can do while still being an online-only store. So, if you’re someone who hates online shopping, you may want to give Chess Baron a try if you don’t have a physical chess store nearby. Chess Baron is known mainly for its detailed product photos that allow you to see the products from every angle and really get a feel for them. As mentioned before, this eye for detail gives buyers confidence that they’re getting a high-quality set and allows shoppers to form a more concrete image of each product in their mind. It’s a small thing and it’s a wonder that other online chess shops haven’t caught on to this technique by now, but until they do, it’s a unique feature of Chess Baron. 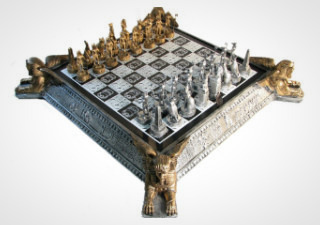 Chess Baron product listings highlight the unique features and detail of each item so that they each stand out in your mind. Anyone who’s scrolled through pages and pages of chess boards knows that they all start to blend together after a while, but Chess Baron avoids this problem by photographing each product differently in order to best show off its unique features. 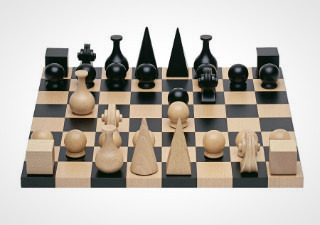 A few online chess shops use product photos that are all staged in exactly the same way on exactly the same set. 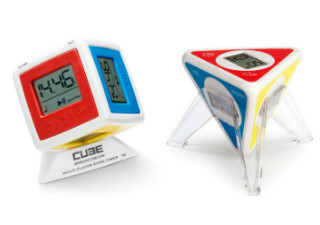 This method saves time for photographers when all they need to do is switch out one chess set for another all day, but the end result is a series of product photos that look exactly the same apart from a few color changes here and there. It makes it very difficult to differentiate one product from another in your mind, and if you forget the name of a product you were interested in while shopping, you may never find it again without scouring the look alike listings for hours! You won’t find rows and rows of nearly identical photos on their product pages- all of them are mostly unique. The detailed photography is really the one thing that makes Chess Baron stand out from all of the other online chess shops out there. If more shops started paying closer attention to their product photography, it would make the shopping experience better for customers everywhere, but Chess Baron would lose its uniqueness. In all other respects, it is just your average store. Not great, not terrible, but nothing to really write home about. If you’re looking for an online chess store with name recognition and a sterling reputation- something that will make your friends gasp when they see the logo- go with The House of Staunton or Chess House. 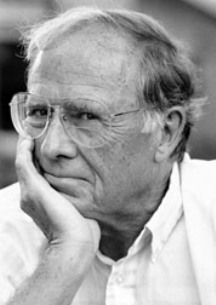 Perhaps unsurprisingly due to its focus on unique product photography, this business was founded by (and got its name from) Baron Turner, the son of professional photographer John Turner. John has been in charge of photographic management for Chess Baron since its very first days and continues to perform that function today. Chess Baron is headquartered in the UK, specifically in Somerset, in the village of Wembdon, near Bridgewater. It does not operate a storefront, only offices and a warehouse, but customers who are in the area can drop by (by appointment only) if they want to look at a chess set or two in person. Make sure to call first and schedule a time, or else they may not let you in when you show up and you’ll have wasted a trip! 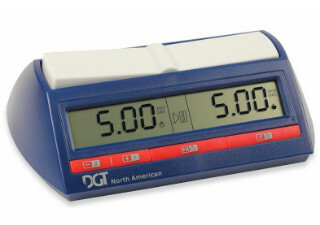 Other branches of the company operate in the United States, Canada, and France. These other branches allow them to service the whole of Europe as well as Britain, North America, and many other parts of the world. Clicking on the Customer Reviews tab will, unsurprisingly, take you to the “Testimonials” page of the website, where you can read a handful of glowing reviews of Chess Baron (or, more frequently, a customer service representative named Janet) from customers. It seems that only positive reviews are posted on the company webpage, though. If you’re interested in seeing uncensored reviews like ours, you can also check them out on Facebook and elsewhere on the web. This section is where you can learn more about the company through their informative pages. As you can see, they have many different product categories to choose from, including a few other games and different products. This system of menus is a bit clunky to navigate, though. You have to click through several different pages and menus before you actually get to see any products. The menus aren’t very well optimized, and some of the categories aren’t very clear, like “plain theme” and “colored theme.” The ease of navigation of the Chess Baron site definitely leaves something to be desired. Product quality is one of the things that Chess Baron says it takes very seriously, but do they actually put their money where their mouth is? After all, it’s no use getting a great deal on a chess set if it’s just going to fall apart after a few games. For a great deal to really be great, you have to be getting a high-quality product, so let’s take a closer look at Chess Baron’s product quality. 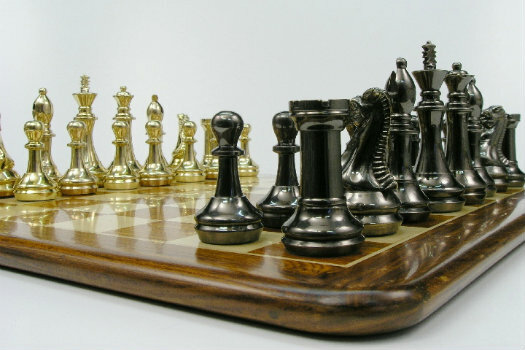 The vast majority of the chess sets for sale at Chess Baron are made in India, the birthplace of the game of chess. With the company being based primarily in the UK, it may be difficult for Chess Baron to oversee the production of each and every product that comes out of these factories. Customers can also see for themselves the quality of each product just by looking at the detailed photos on each product listing. 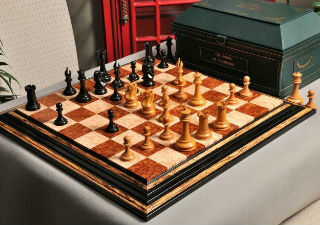 Chess Baron says that they are able to offer such high definition, detailed photos from all angles because they have absolutely nothing to hide in terms of product quality, although the customer wouldn’t really be able to tell if they were choosing the products “best angles” so to speak or not until they actually buy the product. Shipping is available to almost any country in the world, though shipping rates do vary quite a bit based on your location. For example, shipping is free to most parts of the UK, though certain areas like the Scottish Highlands, Channel Islands, and Northern Ireland incur an extra charge of about 10 pounds. 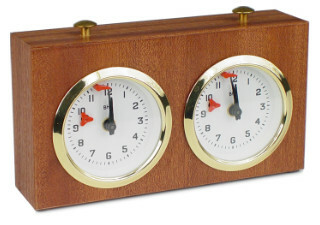 Shipping to the Isle of Man costs almost 20 pounds extra. The cost of shipping to other countries varies anywhere from 17 pounds to 60 pounds, so whether or not you’re getting a good deal really depends on where you’re located. 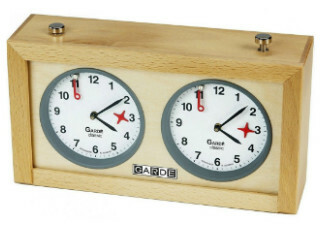 Shipping to the United States is listed as costing about 40 pounds extra, but this cost can be avoided for USA customers by shopping through Chess Baron’s USA based site, Chessbaron.com. It is a bit odd that Chess Baron lets customers order from the UK website and pay the high shipping fees instead of redirecting them to the American site, though. We’re letting you know so that you don’t fall into that trap if you choose to shop there. In certain countries, shipping from anywhere is similarly expensive, but in places where you have a lot of other options that offer cheap or free shipping, the added cost may make Chess Baron not as good of a deal as it seems. 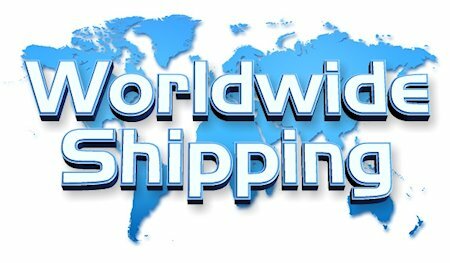 Check out their list of international shipping rates to determine if it’s right for you or not. In terms of payment methods, Chess Baron UK accepts PayPal, MasterCard, Visa, or American Express cards. If you’d rather not pay online, you can call and provide your credit card details by phone. You may also arrange to pay with cash or check by calling the company directly, and gradual payment with layaway can even be arranged for some purchases. On its American site, all orders must be placed through PayPal. The customer service at Chess Baron is possibly their best feature. This is evident by how many of the customer reviews page specifically mention a customer service agent named Janet. They all sing her praises! Rest assured that if you’re talking to Janet, you’ll be taken care of. We certainly hope she never leaves the company! The customer service representatives at Chess Baron firmly believe that treating their customers with dignity and respect is one of the best ways to ensure a great shopping experience for each and every customer. They recognize that your time is valuable and no one really wants to be playing phone tag with customer service all day, so they do their best to solve your problem quickly and courteously. They recognize that your time is valuable and no one really wants to be playing phone tag with customer service all day, so they do their best to solve your problem quickly and courteously. 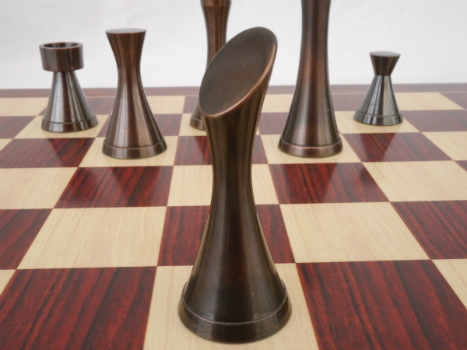 If you have a question about a product, a problem with your order, or come across any other issue while shopping at Chess Baron, customer service will be glad to help you out. Simply contact them by phone, email, or even Skype. If they’re not able to take your call right away, they’ll respond as soon as they can. 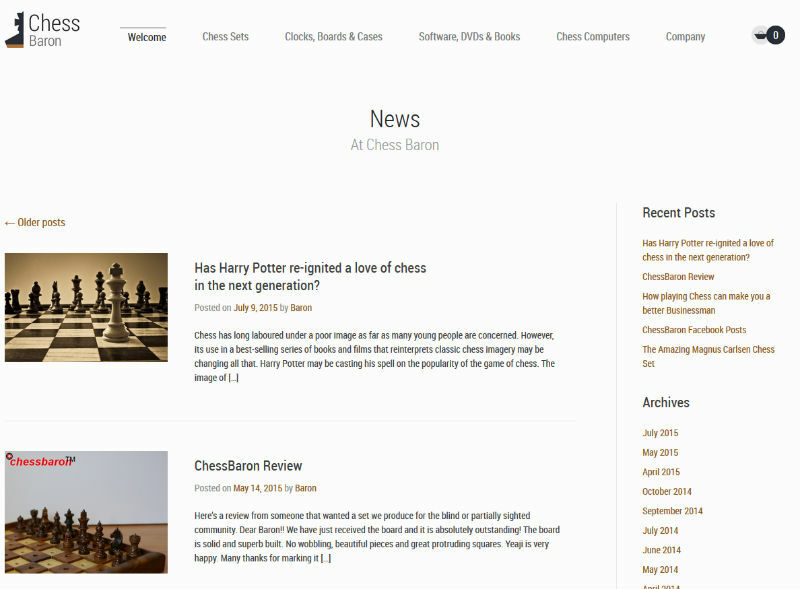 The Chess Baron team also maintains a blog on their website that offers some informative chess related articles and also a lot of advertisements for products available on their main website. Access it by clicking on “News” under the “Company” heading. They also share the occasional email that they’ve received from satisfied customers, new product announcements and sneak peeks, and any upcoming sale information. 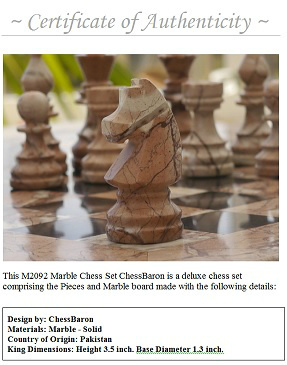 Unfortunately, there are no warranty options for Chess Baron products. If something in your order gets lost or damaged, you don’t have many options for recourse, since returns will only be accepted if they’re in mint condition. If an item comes to you damaged already, though, it will be eligible for a refund or replacement, just like a return. You’ll just need to contact customer service to explain your situation and get your return authorized. The other thing you can do to remedy a damaged set is to buy replacement pieces from Chess Baron if they’re still available. 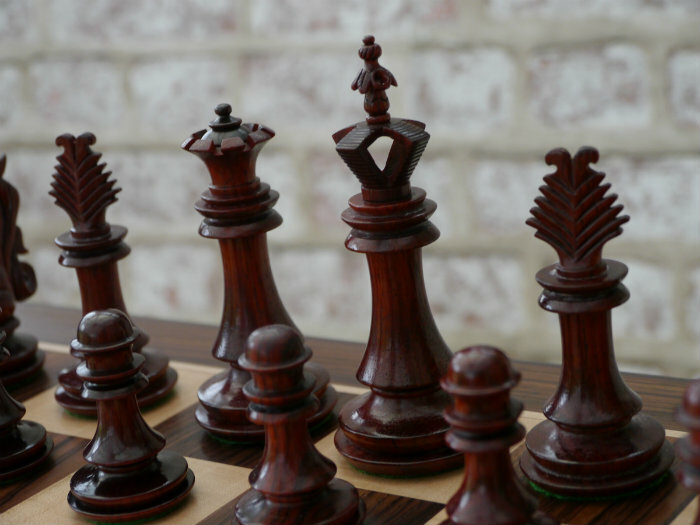 Restoration services may also be available for an heirloom set in the event of fire, flood, or other damage to your sentimental chess set. If you can’t bear the thought of replacement, restoration may be the way to go. Of course, the results aren’t guaranteed since every situation is different. 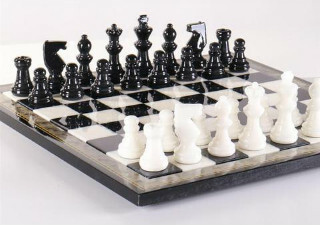 Overall, Chess Baron is an average online chess shop that offers unique product photography. 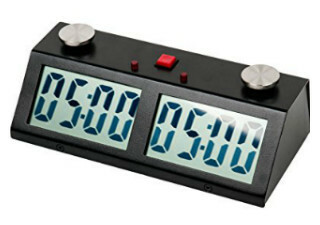 Its products are reasonably good quality, and the prices are about what you’d expect. There’s nothing really wrong with Chess Baron, there’s just nothing that great about it either. 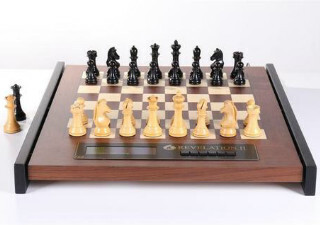 If you’re looking for really high-quality sets, The House of Staunton would be a better place to shop, and if you’re looking for a great deal and high value, The Chess House can offer you more bang for your buck. 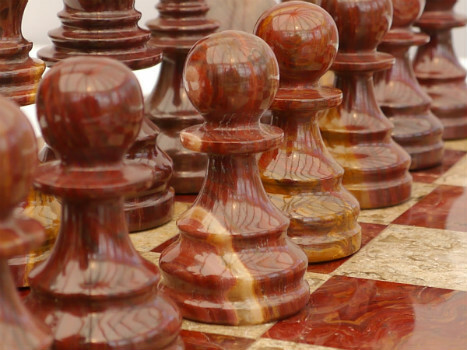 We’re not really sure where Chess Baron fits into the grand scheme of online chess stores. It doesn’t have the highest quality products or the best deals out there, it’s just somewhere in the middle. 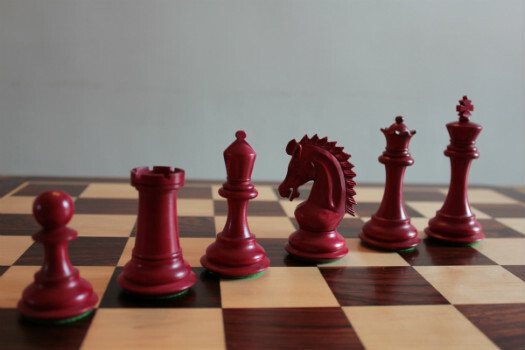 Maybe its target market is people who love both photography and chess, but the difficult to navigate website make it a pain for the average customer to use. If you happen to find a really great deal at Chess Baron, then by all means go ahead and buy it, because those kinds of steals are very few and far between. The rest of the time, though, you’re probably better off shopping for your chess equipment somewhere else.